Trane XL20i Air Conditioning UnitWhen matched with a variable speed indoor unit from Trane, the XL20i has another special feature. It’s a method of enhancing airflow that we call Comfort-R™ and it gives you greater humidity control in cooling. This is accomplished by running the fan at a slower speed during start-up. 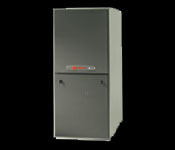 Comfort-R™ also provides warmer air during heating start-up. 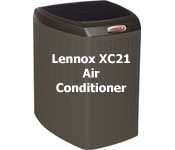 These managed cycles reduce temperature variances for the optimum in home comfort.The XL20i’s SEER (Seasonal Energy Efficiency Ratio) rating of up to 19.50 is among the highest energy efficiency rating of any air conditioner available today. The XL20i has two compressors: one for milder weather and a second larger compressor for those extremely hot days. It’s like having two units in one. 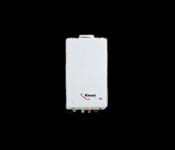 On When You Need It, Off When You Don’t… No Standby Loss! Shouldn’t every room in your home be comfortable, secure and inviting? Now they will be thanks to Mr. Slim, the revolutionary ductless cooling and heating system from Mitsubishi Electric. For decades, people around the world have kept their homes perfectly comfortable with ductless air-conditioning systems. And all this time, Mitsubishi Electric has led the industry delivering cutting-edge technology with innovative products. Smart energy usage: Mitsubishi Electric INVERTER zoning systems smartly deliver only the amount of capacity needed unlike a typical full-power ON system. Individual indoor air handlers are installed within the zone. These air handlers measure the load for that specific zone and deliver for added efficiency only the capacity needed directly to the space, as compared to energy lost in long duct runs. If the zone is not being used, you do not have to condition the space. Smarter sensing technology and microprocessors enhance the system’s ability to measure room temperature accurately for added comfort, performance and efficiency.